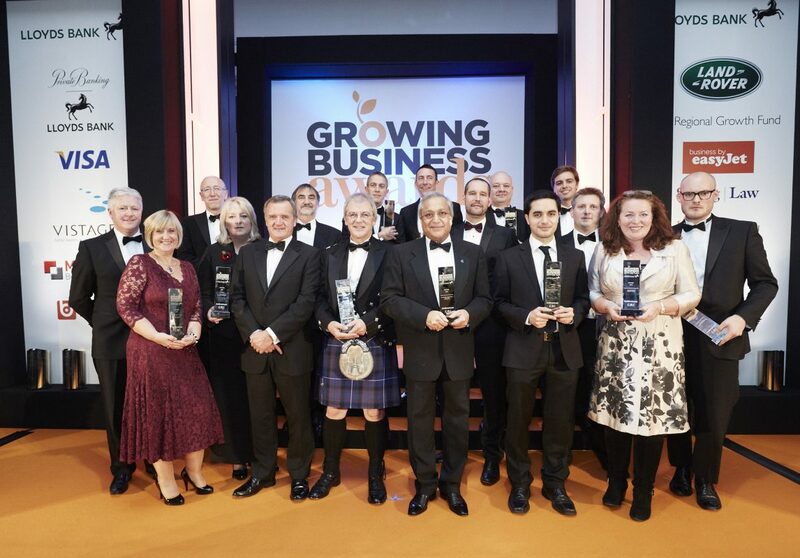 Dr Rami Ranger MBE, Chairman of Sun Mark, winner of the prestigious Growing Business Awards Export Champion of the Year 2013, with the other winners on the night. 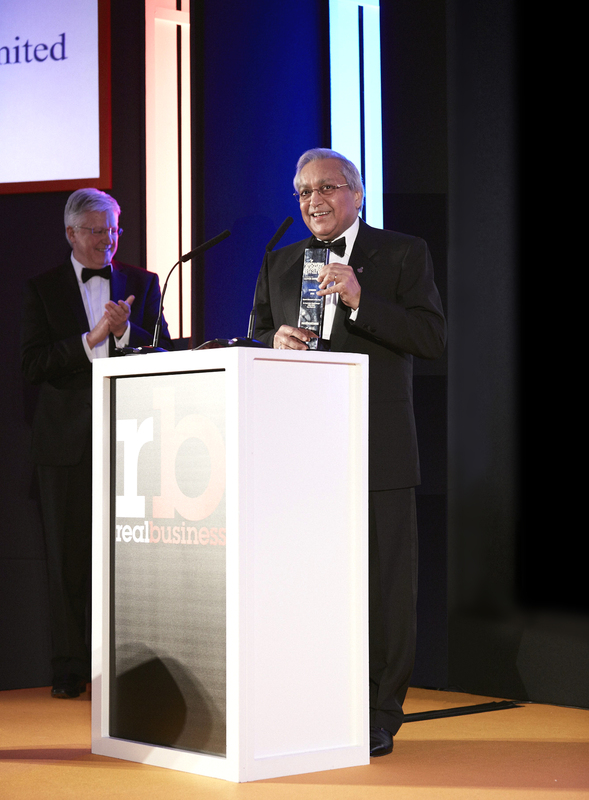 Dr Rami Ranger MBE, FRSA, Chairman of Sun Mark Ltd., receiving the prestigious Growing Business Awards, Export Champion of the Year 2013. Dr Rami Ranger MBE, FRSA, Chairman of Sun Mark Ltd, was awarded the coveted Export Champion of Britain Award for 2013 by the Growing Business Awards at a glittering dinner held at the London Marriot Hotel in Grosvenor Square, London W1. The Growing Business Awards, supported by the CBI and in association with Lloyds Bank, highlights the nation’s most exciting and innovative businesses of all sizes and sectors. The competition for these awards is tough as the good and the great of the British business fraternity along with captains of industry compete for these awards. The Guest of Honour, the Rt. Hon. Danny Alexander MP, Chief Secretary to the Treasury, hailed the “hard work, vision and risk-taking” of British businesses, but called on them to invest more. He said: “We’ve done the emergency repairs. The engine has had a full service and is getting going again. But it won’t get into top gear until British business starts investing some of the half trillion pounds worth of cash it’s built up in reserve.” Karan Bilimoria, founder of Cobra beer, shared his tips for success – namely thinking of going global as soon as you start your business. Rami Ranger, Chairman of Sun Mark, on receiving the award, expressed that it was because of Britain’s entrepreneurial culture that he had been able to build a startup business into a world class company in less than 20 years and it is through enterprise that Britain could regain its place in the world. Sun Mark itself has connected Britain through trade with over 110 countries and the business was still growing. The others should take its example and look globally rather than locally. He said, “Hidden talent is no talent” and we must exhibit our products and service throughout the world to demonstrate what benefit we can offer. It is worth noting that Rami’s company, Sun Mark Ltd, has also won the most coveted British Business Award from Her Majesty the Queen, The Queens Award for Enterprise in International Trade, for an unprecedented 5 consecutive years and in the process has made British business history. No other British company has received this accolade before. Rami himself was also recently named the IOD’s Director of the Year – Large company Category for 2013 amongst many other honours already to his credit for his vision and commitment to Britain. This entry was posted in News and Press. Bookmark the permalink. A World Class Partnership between Sun Mark Ltd & Cricket Legend, Muttiah Muralitharan.